Want to give your Moto Z phone an ego boost? Tack on one of these magnetic modular backs. Motorola’s Moto Z series phones are all modular, and can take advantage of Motorola’s proprietary Moto Mods. You can buy them separately online or through your carrier. Once you snap them on, the phone knows how to utilize them from there. Which phones are compatible with Moto Mods? 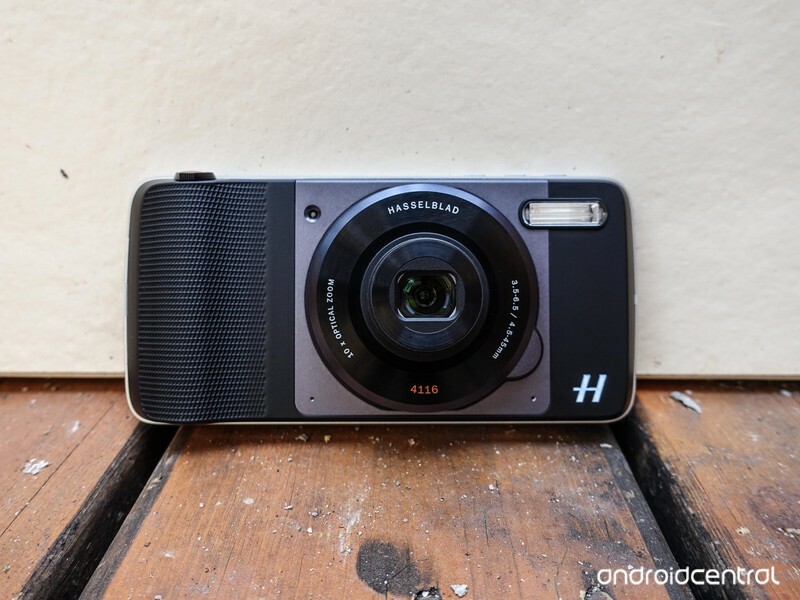 Get up the ten times the optical zoom with the Motorola-commission Hasselblad True Zoom Camera ($299.99). This Moto Mod turns your regular old smartphone into a bonafide point-and-shoot of sorts. It features optical zoom, xenon flash, and physical buttons for zooming’ and shootin’. And if you use the Moto Z’s RAW shooting format, you can do all the editing and tweaking you need to do to make it look professional in a desktop app. One more power pack! 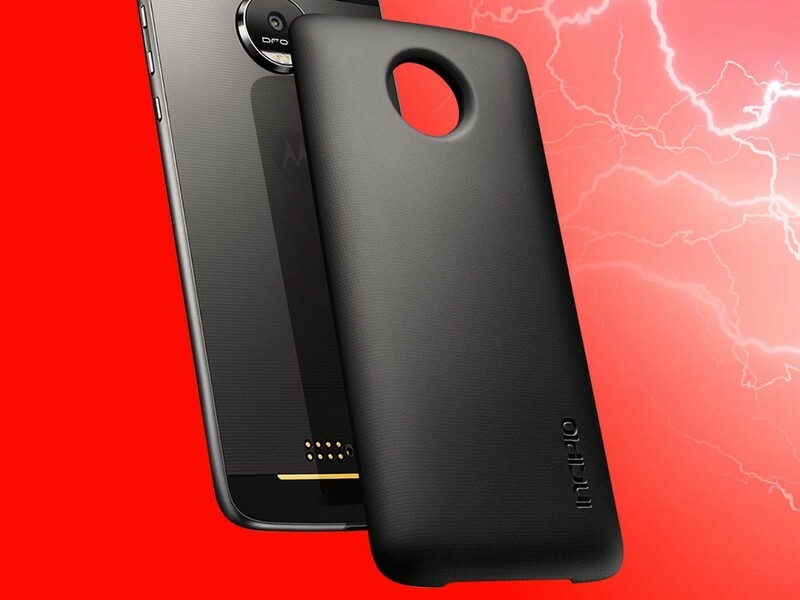 This one is from Incipio and, like the Mophie Juice Pack, it’s a simplistic battery back you can tack on to the Moto Z for an extra boost of battery power. The Incipio Offgrid Power Pack ($79.99) features an additional 2220 mAh of battery. It also supports both Qi and PMA wireless charging, which will come in handy from time to time where wireless chargers might be available —this one compatible with the charging pads offered at Starbucks! It comes in both white and black. 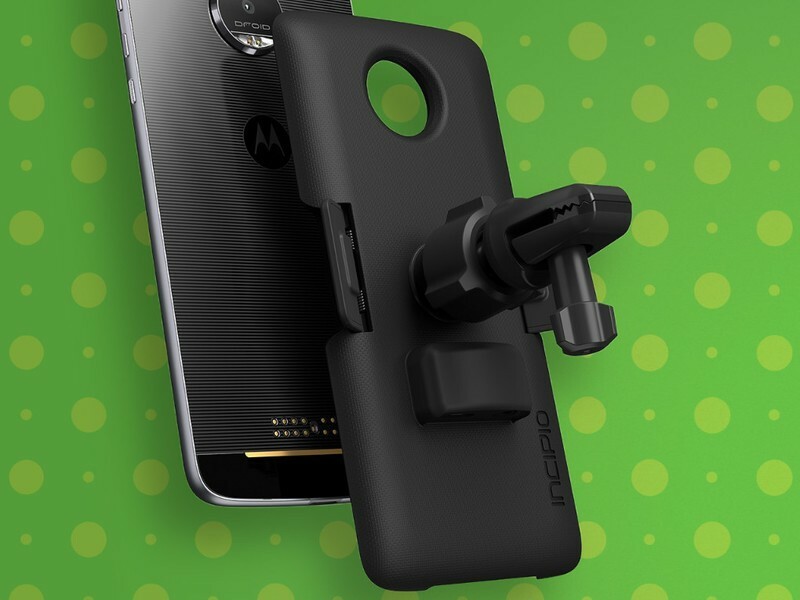 This phone mount doesn’t just cradle the Moto Z, it latches on to it. Once you snap in the smartphone, the dock will fire up Android Auto so that you can have immediate access to your contact, music, and maps without being distracted from the road. In addition to Android Auto support, the Incipio Vehicle Dock also offers 15-watt fast charging in your car so you can also ensure you’re topped up and ready to go. Interested? The Vehicle Dock will set you back $64.99. The music is better when you’re dancing to it with your friends. 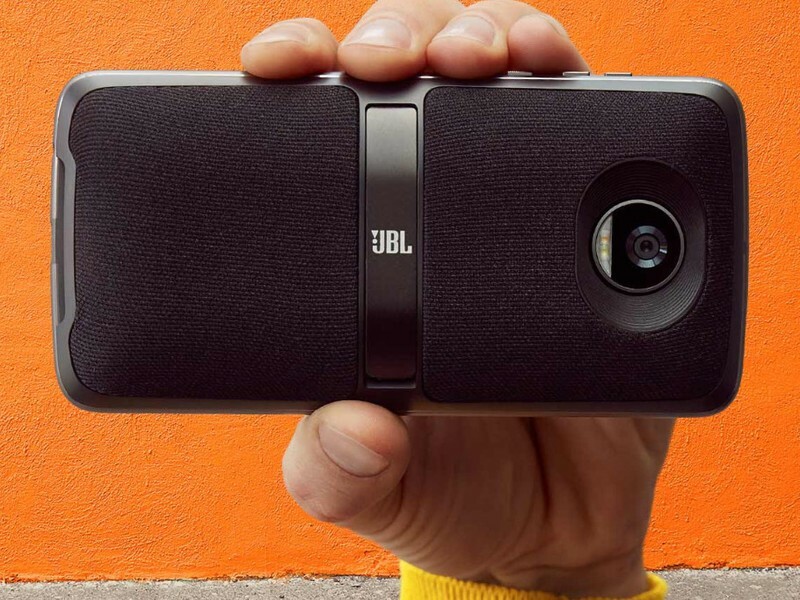 Bring your Spotify playlists to life with the JBL SoundBoost speaker ($79.99), which snaps on to the Moto Z and has a built-in kickstand. The mod is comprised of two 27mm speakers with 6W of power each. You can use the speaker to broadcast conference calls and make sure everyone in the room can hear what’s being said back at headquarters. There’s also an extra 1000 mAh of battery packed in there. 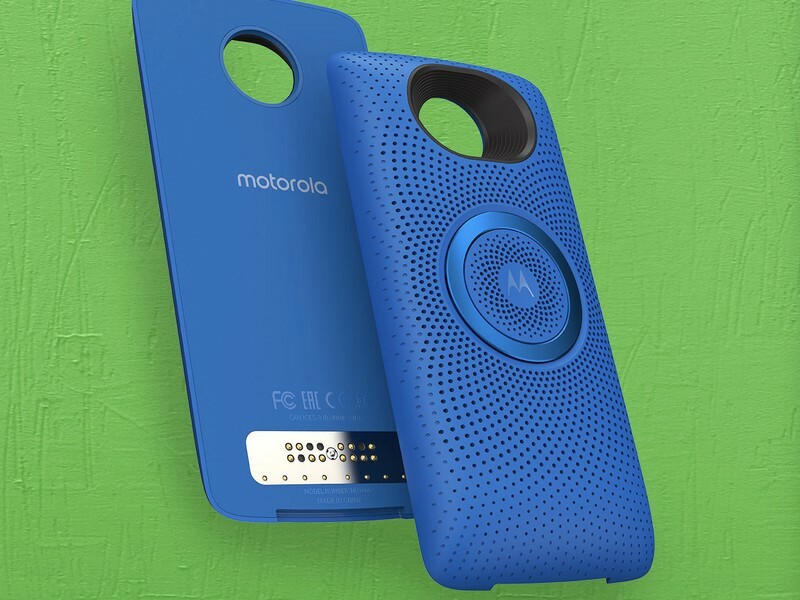 A sequel to 2016’s SoundBoost, this Moto Mod is a speaker that attaches to the back of a Moto Z series phone, but this one is cooler: it comes in an assortment of colors, including bright blue or red, and is more rounded than the original, making it easier to hold. With two 3-watt speakers, the SoundBoost 2 sounds just as good (but no better) than the original, and the 1000mAh battery lets it play for 10 hours without needing to be topped up. 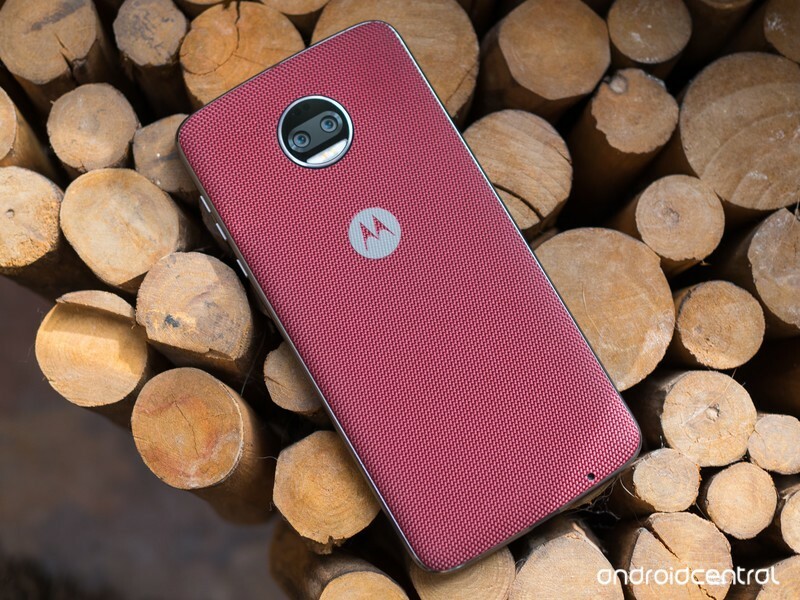 This one is also splashproof, just like the Moto Z phones themselves. If you’d like to pick one up for yourself, you’ll need to hand over $79.99. 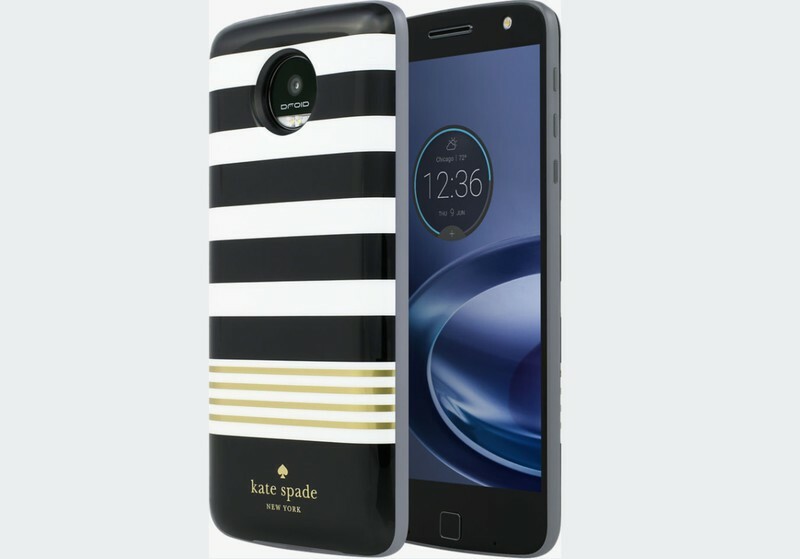 Kate Spade New York Power Pack hails the brand’s simplistic, modernist color palette to help make your Moto Z stand out from the crowd. As if that wasn’t enough, it also boosts the Moto Z series’ battery capacity by an extra 2220 mAh. 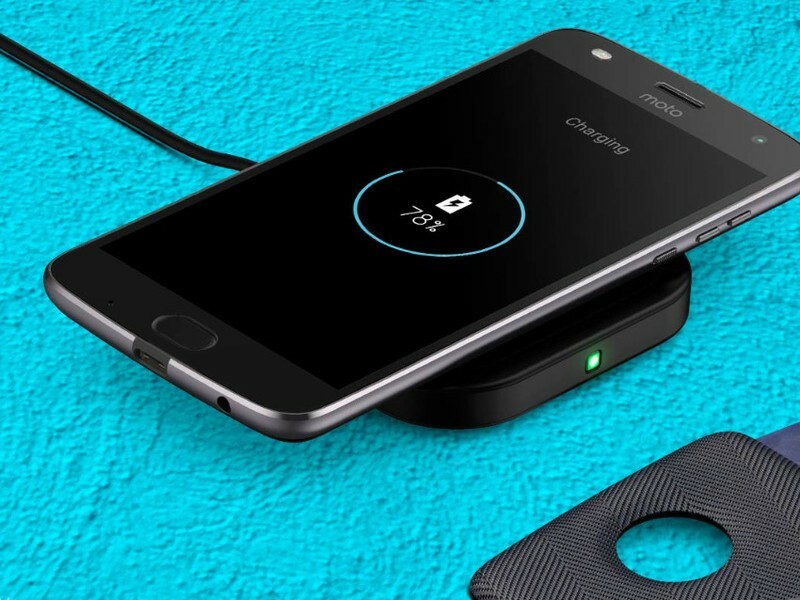 Similar to the Mophie Juice Power Pack, this easily charges alongside the Moto Z when it’s plugged in for the night. The retail price for the Kate Spade New York Power Pack is set at $79.99. There is also a polka-dotted variant at Verizon. The battery will eventually peter out on your Motorola smartphone. 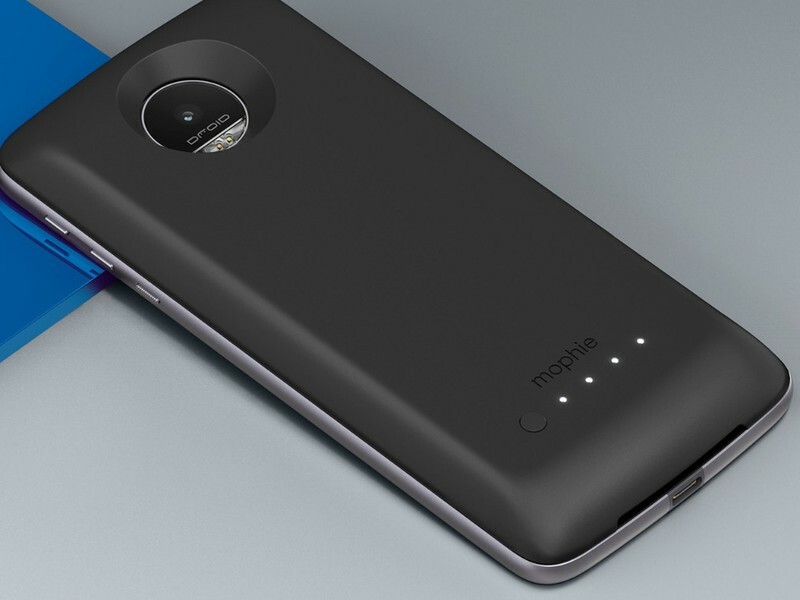 Avoid living life without smartphone juice by packing something like the Mophie Juice Pack. This snap-on module provides an extra 3,150 mAh of battery and can be easily recharged when you charge up a Moto Z device. Mophie’s one of the best-known brands when it comes to battery products, and the company’s Juice Pack can be yours for just $79.99. 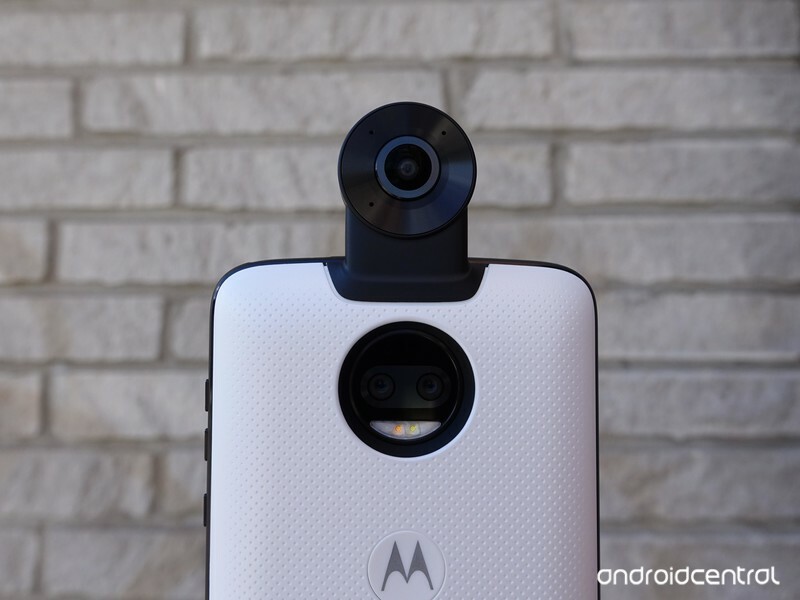 The newest Moto Mod is a 360-degree camera ($299.99) that attaches to the back of any Moto Z device and offers dual 13MP sensors and 4K video capture. There’s also 3D audio support using microphones from the phone and camera itself, and by attaching directly to the phone there’s no Bluetooth or Wi-Fi to struggle with when transferring photos over; they’re all on the device or microSD card itself, and can be edited on the phone and uploaded to Google Photos. Folio cases are a great solution for keeping the back and front of your phone protected at all times, but depending on which one you buy, the can sometimes add a lot of unwanted bulk. If you’ve got a Moto Z phone, you can get that same level of protection while keeping your phone slim and trim thanks to the Moto Folio. Although this doesn’t necessarily add any new functionality to your phone, it does offer some enhanced protection and has a small sleeve for storing a credit card or ID. There are six colors to choose from and prices range from $14.99 and $19.99. This is so cool. 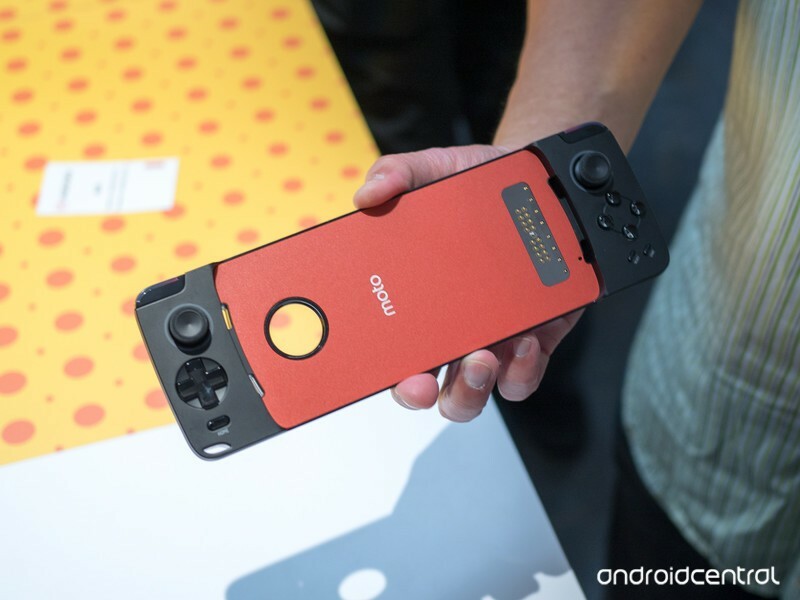 Motorola’s Gamepad Mod lets a Moto Z series phone fit inside the comfortable confines of a game controller, adding dual control sticks, a d-pad and four buttons, along with shoulder buttons, for an incredible gaming experience. There’s also a 1035mAh battery to power the Gamepad for eight hours of usage. If you want to turn your Moto Z into a Nintendo Switch-like alternative, you can pick up the Moto Gamepad for $79.99. YouTube is fun for everyone, but not when you have to huddle over a small screen to see what’s going on. Snap on Motorola’s Insta-Share projector, which projects what’s on your Moto Z’s screen onto the wall of your choice. You can project up to 70 inches and adjust the device as you like with the included stand. The projector also adds on an extra 1100 mAh of battery. The $199.99 price isn’t cheap, but it’s a lot more mangabale than the $300 MSRP it launched with. 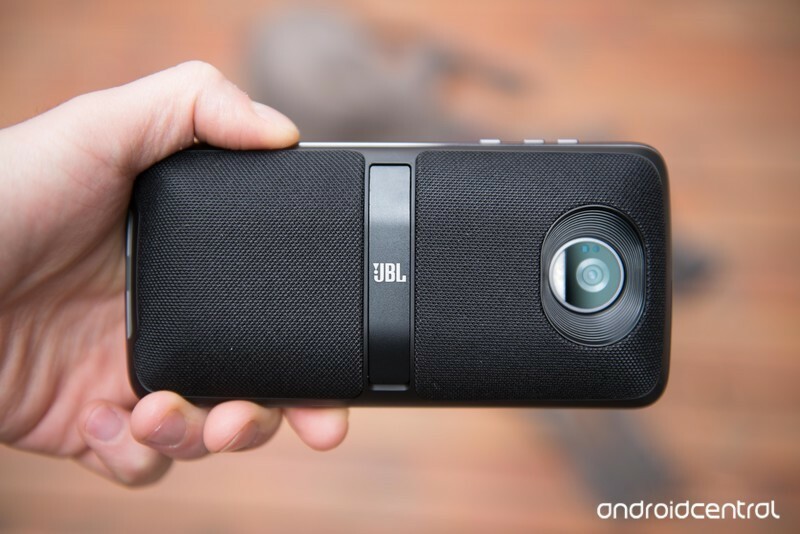 There are a lot of great battery Moto Mods out there, but there’s one undesired quality a lot of them have — they turn your slim Moto Z handset into a thick beast. If you want some extra juice without the added weight, the Moto Power Pack is worth checking out. Its 2,220 mAh battery is rated to add up to 16 hours of additional use and measures in at a mere 4.99mm thick. The charge rate is 4-6W and the Mod’s available in a black or white plastic finish and in two glass-backed designs. Depending on which one you choose, you’ll spend $49.99 to $59.99. 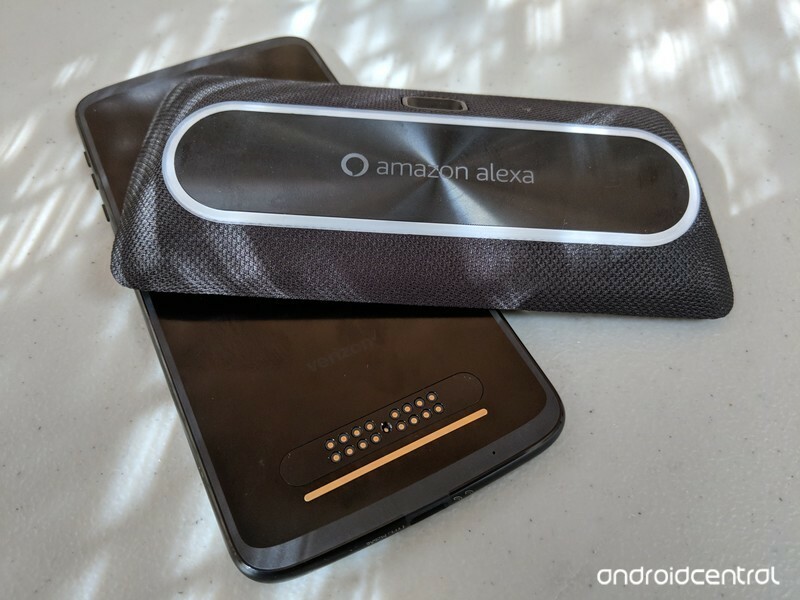 Amazon Alexa is one of the most powerful virtual assistants on the market, and thanks to the Moto Smart Speaker, you can easily bring it with you wherever you go. You can use the Smart Speaker to use Alexa just like you would on an Amazon Echo, including asking it about the weather, reading aloud audiobooks, controlling your smart home gadgets, and so much more. In addition to the Alexa capabilities, this Mod also comes with a low-profile docking mode, dual speakers, four microphones, and a built-in battery that should last for 15 hours. Pricing is set at $149.99. 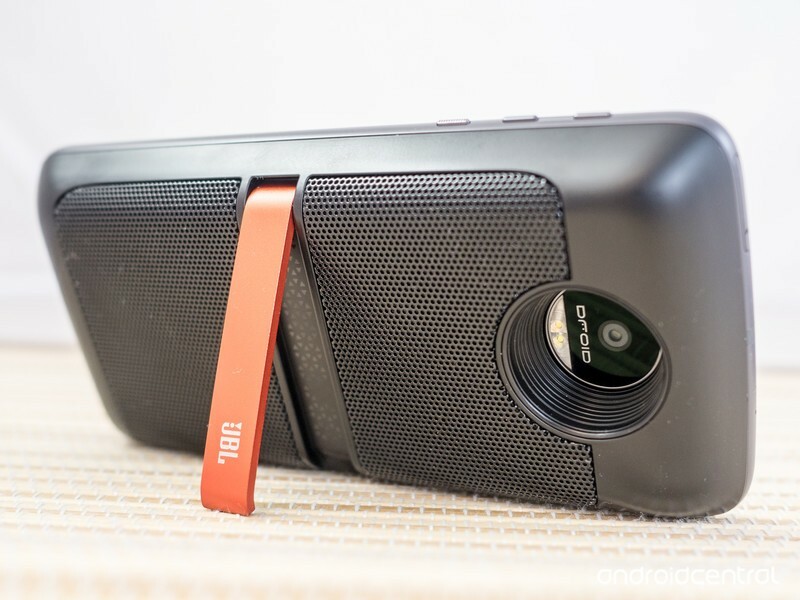 If you want an alternative to JBL’s SoundBoost Moto Mods, your only other option currently comes from Motorola itself in the form of the Moto Stereo Speaker. It’s a bit more affordable at $59.99 and comes in black, blue, and red colors. The Mod’s incredibly eye-catching, featuring an intricate pattern on the back for the speaker grill and a circular stand that pops out so you can prop your phone and the Mod up on a table or other hard surface. Two 28mm speakers drive your audio and there’s a loudness rating of 80dB at 50cm. 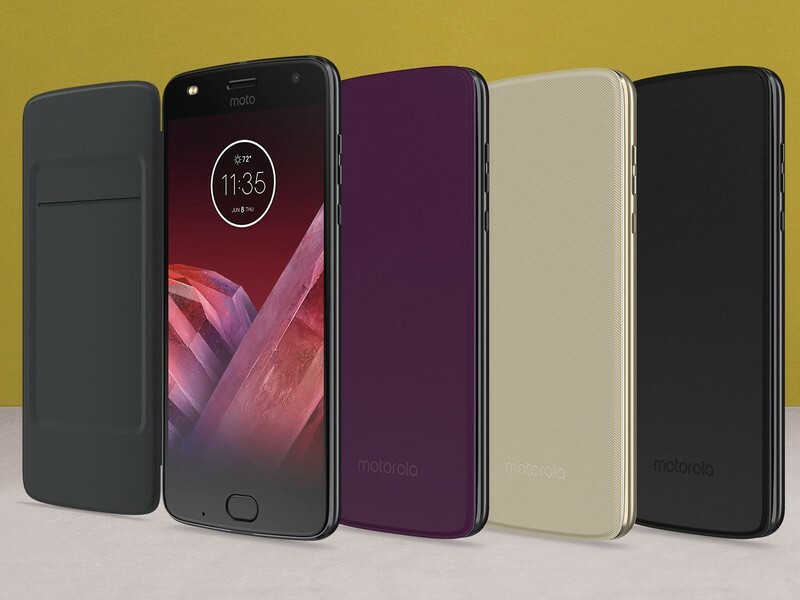 Although Motorola’s Style Shells don’t technically add any functionality to Moto Z handsets, they do allow you to quickly change up the look and feel of your phone in the blink of an eye. There are quite a few Style Shells to choose from, including two nylon ones and three that are made out of Corning Gorilla Glass. Each Style Shell has its own unique look, and while the Gorilla Glass ones may not be the most durable, they do offer some of the flashiest designs of the bunch. Depending on what you choose, prices range from $19.99 to $29.99. 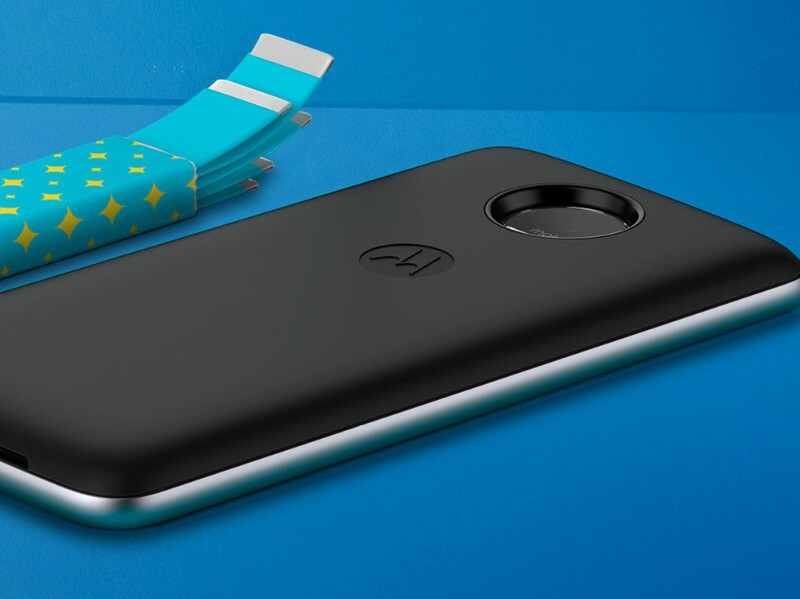 If you want to update the look of your Moto Z while also adding wireless charging, the Style Shell with Wireless Charging does exactly what it describes. Adding a tiny 3.25mm of thickness to a compatible phone, the back adds Qi and PMA wireless charging. This Mod retails for $39.99 and is currently available in only a gray color. It may not look like much, but if you’ve got a lot of wireless chargers in your home or simply don’t want to mess with cables any longer, this is an essential pickup. Motorola’s fast charging technology is branded TurboPower, so it makes sense that its most powerful and expansive battery Mod would be named after it. 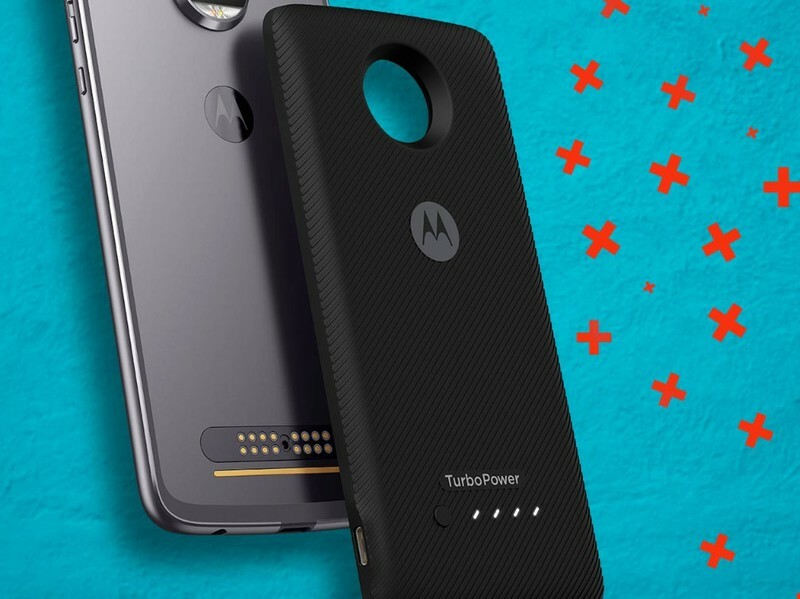 The Moto TurboPower Pack contains a massive 3,490 mAh cell that charges a Moto Z series phone at 15W for incredibly fast recharge speeds. While it adds a girthy 6.58mm to the phone it’s connected to, it’s not meant to be kept on all day; instead, it’s a top-up, bringing a phone from 0% to 50% in 20 minutes or so. To pick one up for yourself, you’ll need to shell out $79.99. 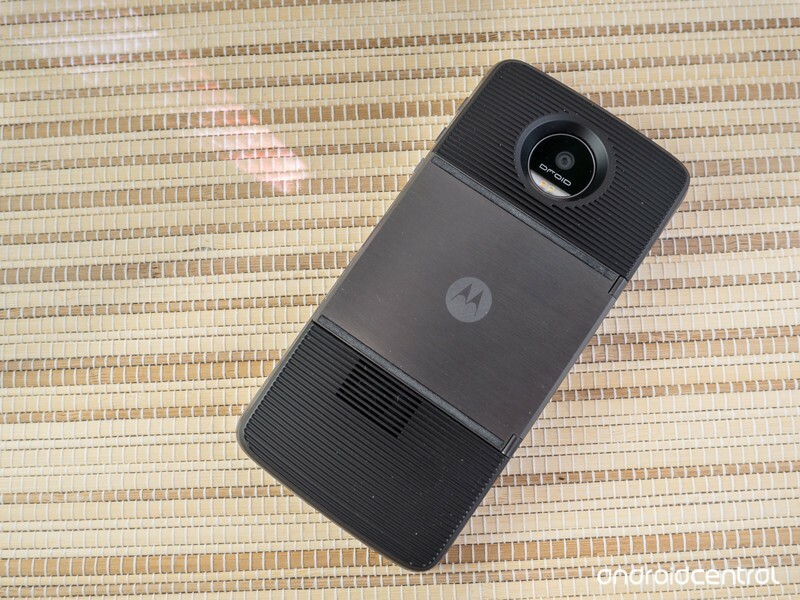 Updated June 2018: This list has been updated with the latest Moto Mods added in 2018.